President Donald Trump on Tuesday gave his most direct endorsement of Saudi Crown Prince Mohammed bin Salman, as both the US and Saudi Arabia move to rein him in after Jamal Khashoggi’s murder. 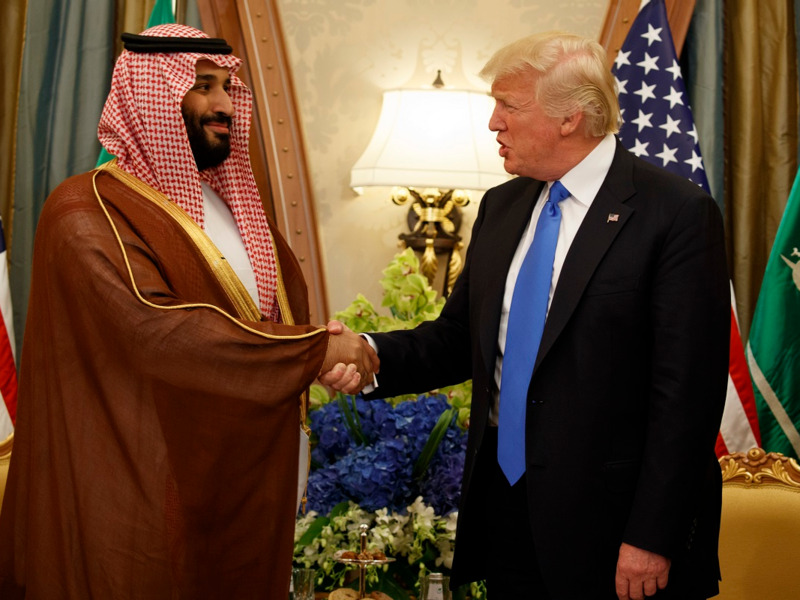 Trump has faced criticism over his defense of the crown prince in the wake of Khashoggi’s killing, and the president has been accused of helping the Saudi leadership “cover up” for its crimes. Still, outcry from Khashoggi’s death has been aimed at the crown prince. Members of the Saudi royal family have reportedly been working to prevent the crown prince from ascending to the throne, and have discussed the possibility of having King Salman’s brother take his place should he die. 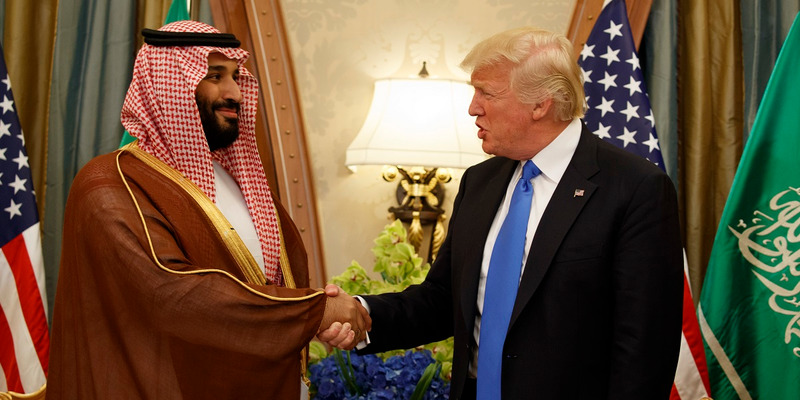 US Senators have introduced measures to hold the crown prince accountable for several human rights abuses, including Khashoggi’s murder. President Donald Trump on Tuesday gave his most direct endorsement of Saudi Crown Prince Mohammed bin Salman as both the US and Saudi Arabia move to rein him in after journalist Jamal Khashoggi’s murder. Trump has faced criticism over his defense of the crown prince in the wake of Khashoggi’s killing at the hands of Saudi agents — some have even accused the president of helping the Saudi leadership “cover up” for its wrongdoings. Speaking to Reuters during an interview held in the Oval Office, Trump refused to comment on whether Mohammed was responsible for Khashoggi’s death, despite assessments by the CIA and a group of bipartisan senators putting him at the helm of the murder plot. “He’s the leader of Saudi Arabia. They’ve been a very good ally,” Trump said in his most explicit show of support for the prince since the October 2 execution. Dozens of members of the Saudi royal family have reportedly been working to prevent the crown prince from ascending to the throne, discussing the possibility of instating another Saudi royal in King Salman’s place should he die. Prince Ahmed bin Abdulaziz, 76, the king’s younger brother, who abruptly and mysteriously returned to the Kingdom amid the Khashoggi scandal, has been touted as a potential successor. Speaking to Reuters, Trump denied that the crown prince’s power was in jeopardy. Earlier this month, US senators put forward a measure to hold the crown prince accountable for a number of human rights abuses, including the humanitarian crisis in Yemen, the jailing of Saudi activists without charge, and the ruthless detention and extortion of his critics. They also announced with a “high level of confidence” that Prince Mohammed was “complicit” in the brutal killing. On Sunday, CNN published the most comprehensive recount to date of audio allegedly recorded during Khashoggi’s final moments. Translated transcripts of the recording reportedly revealed that Khashoggi was left gasping for air, and the sounds of sawing and cutting could be heard alongside what are thought to be his screams. Is China Preparing To Invade Taiwan?